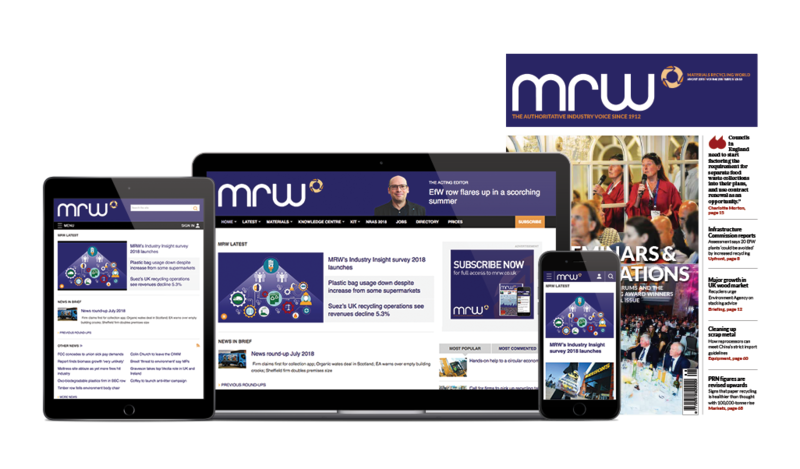 An executive of a British waste management firm has challenged comments from a senior Brussels official at RWM about commingled collections. Karl Falkenberg, who until this month was director-general for environment at the European Commission, and played a leading role in the forthcoming circular economy package, described an unwillingness in this country for mandated separate collections as an approach that was “peculiar” to the UK. But Grundon deputy chairman Neil Grundon said the Commission should do more to standardise waste policy across the EU. In a blog, he wrote: “Environmental taxation, legislation and VAT rules on waste are different across every European country, so it’s simply not a level playing field. Grundon (pictured) added that it was simpler for customers to have one commingled dry recyclable collection and for the industry to invest in MRFs to separate the different streams quickly and efficiently. Falkenberg also said at RWM that energy from waste was an obvious alternative to landfill but acknowledged planning issues in Britain. Grundon agreed, but added that the lack of consistency between EU landfill tax rates has contributed to an over-reliance on refuse-derived fuel (RDF) exports. “At the moment, companies are able to take advantage of different rates for different materials, so they effectively play one off against the other, with the net result that waste is transported around Europe when it could be used to produce renewable energy for the home market. The Commission’s circular economy package is set for release this year. The export of RDF provides smaller operators with a non-landfill disposal solution. Solely from a competition prospective this vital route must be maintained..